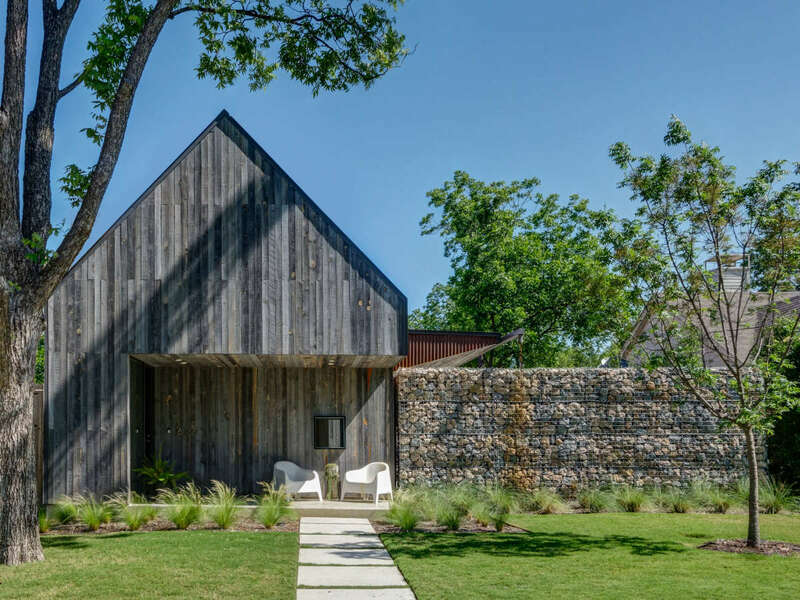 The goal of this house was for it to not be anything like the family's East Texas ranch. 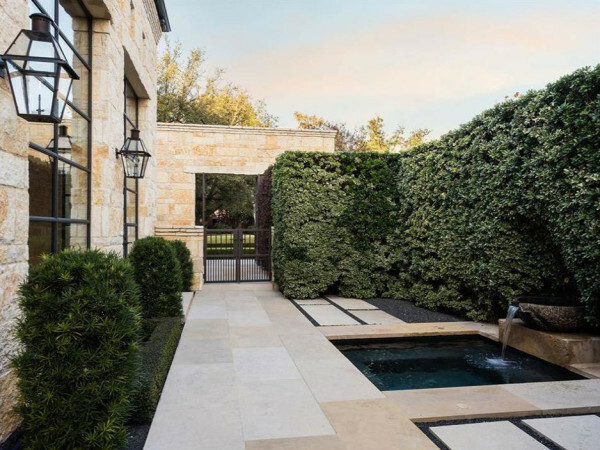 The one-acre plot of land features four lovely live oaks that helped set the layout of the traditional "H"-style home, which also happens to feature an interior courtyard. 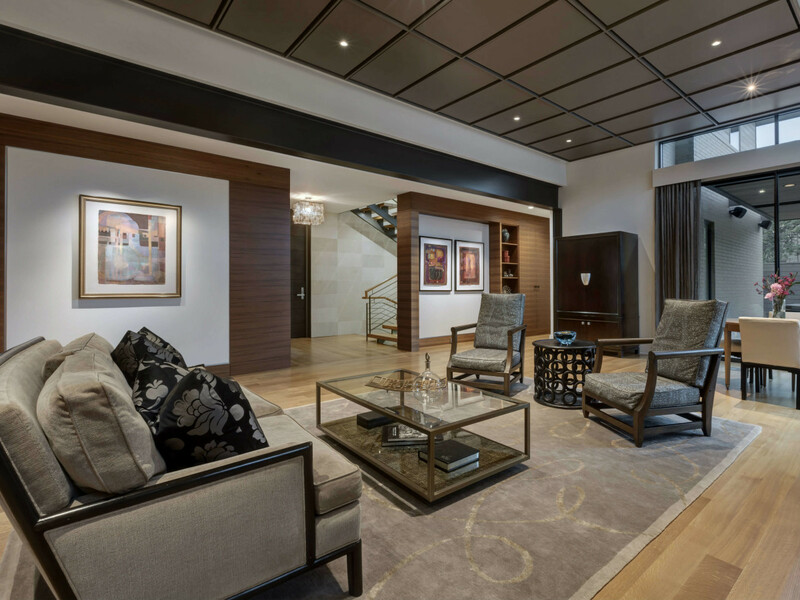 Surprising details throughout the home add a touch of intrigue: exterior elements show up inside, tall narrow slots act as windows, water features set off the entry and stair towers, and a mix of unexpected materials are used for the floors. 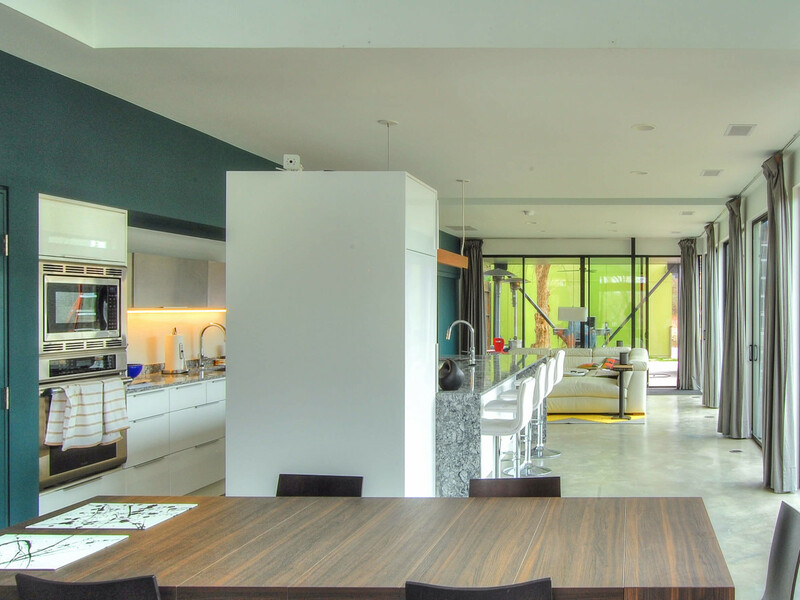 This unique home is a courtyard residence made up of five separate structures that are connected by glass corridors. 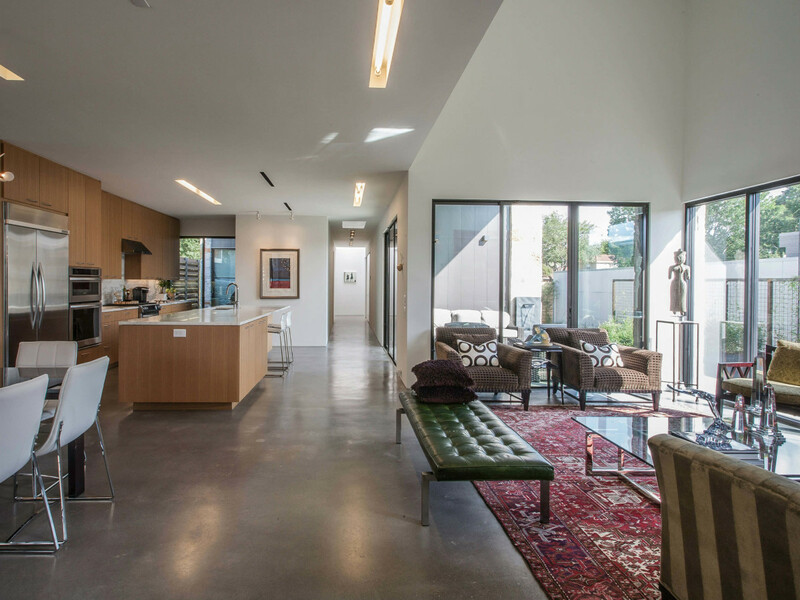 The interior sides feature minimalist steel-framed windows to give the owners a full view of the courtyard and pool. 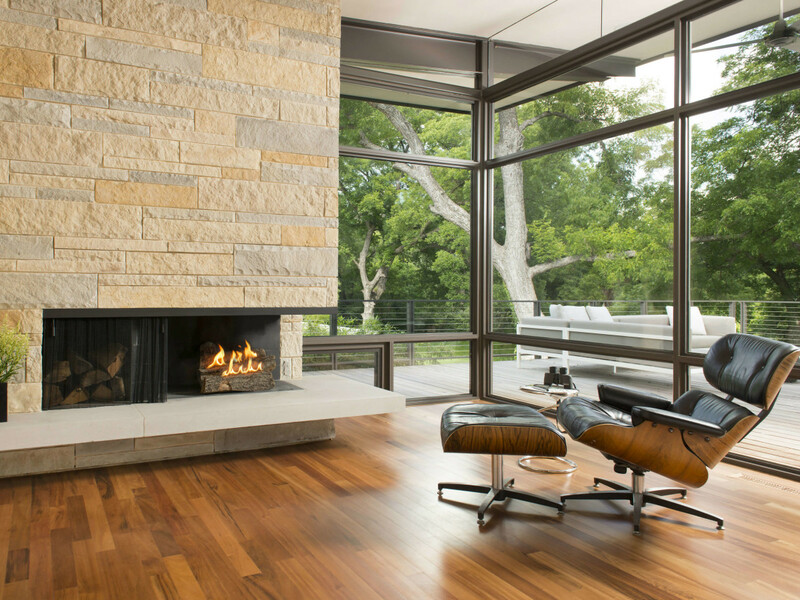 The home's interior features walnut and stone with concrete floors. 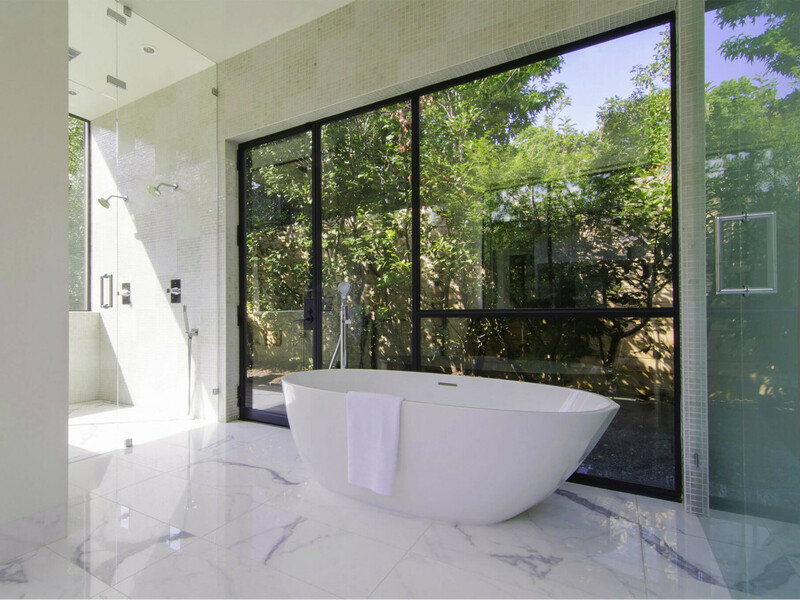 A mix of encaustic and glass tile "bring playfulness of color" to the guest bathrooms. Originally built as a spec home for the Urban Reserve, each year, this home attracts builders who are looking for inspiration on how to create a unique space that will lead to a successful sale. Inside, the roof form creates a variety of ceiling heights. A long, sheltering pitched roof extends to the three-story house next door and falls to meet the single-story home on its other side. 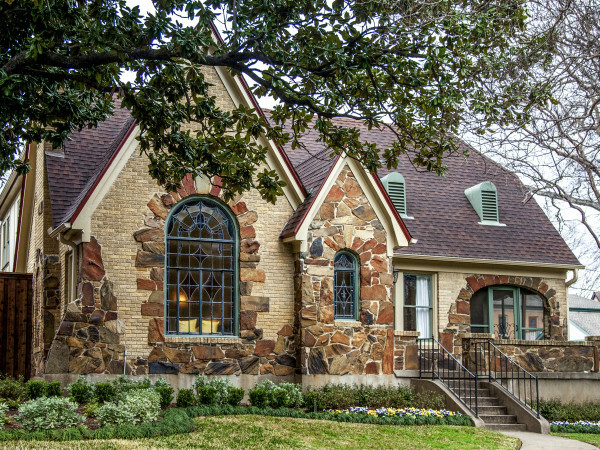 This East Dallas gem was inspired by historic Texas Blackland Prairie homestead architecture. 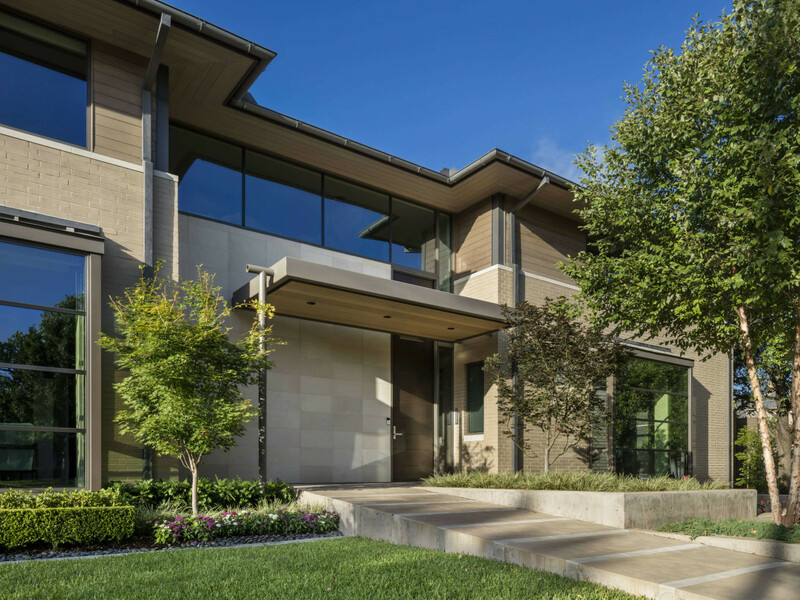 Like many of the homes built by Dallas' earliest settlers, it blends simple forms and materials with contemporary planning and crisp detailing. 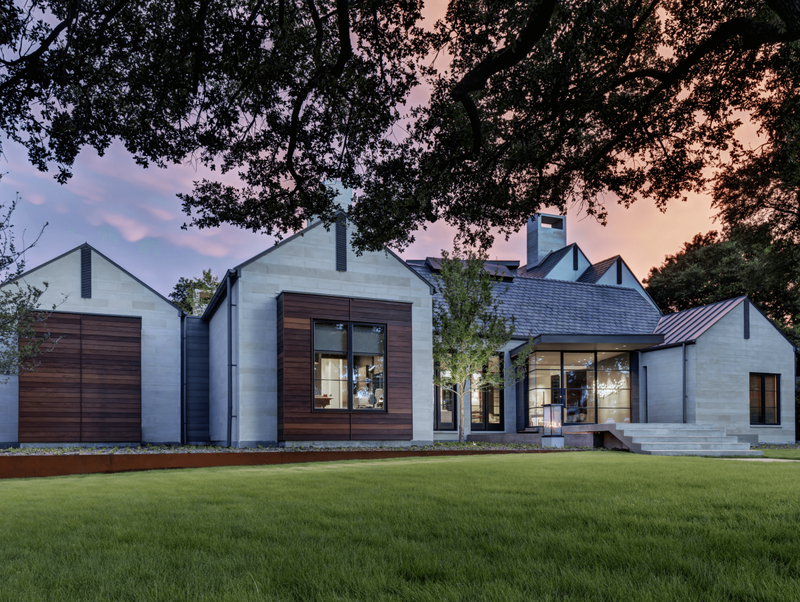 The one-story residence is placed on the west side of the property to maximize the use of the site and to provide a large outdoor space to the east, which features a fire pit and pool area. A cantilevered awning provides those enjoying the backyard with protection from the elements. 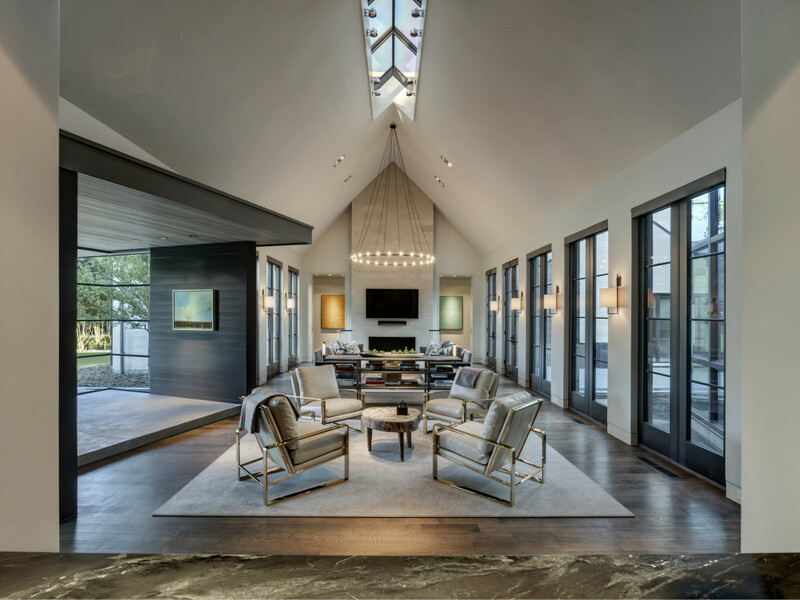 Interior designer/owner Cristie Schlosser designed this family home to serve as a multifunctioning property. Not only is it a traditional home, it's a place for entertaining and hosting charity functions. It is also the studio for her successful interior design firm. The perfectly planned home also focuses on creating open spaces and natural flow from the main rooms of the house to the exterior decks. 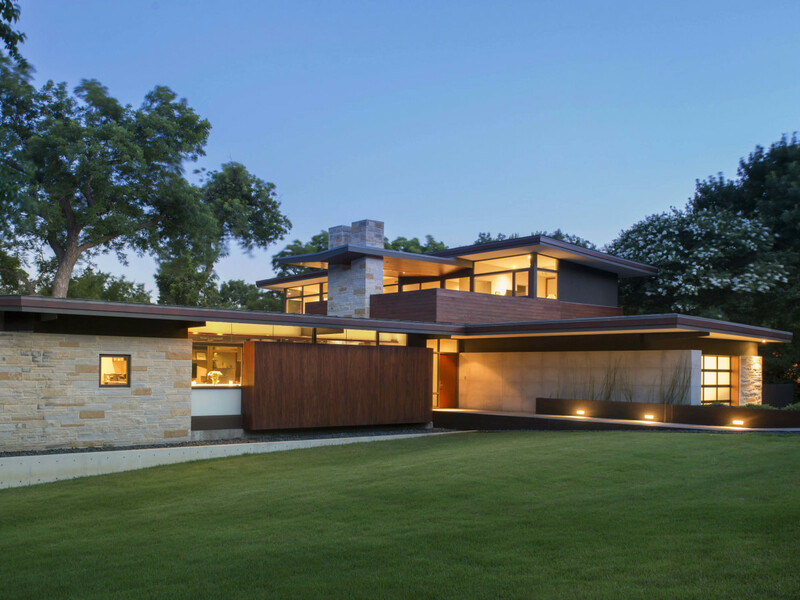 To achieve this, an underground garage and mechanical room were added, so that the bulk of the exterior space could be preserved. 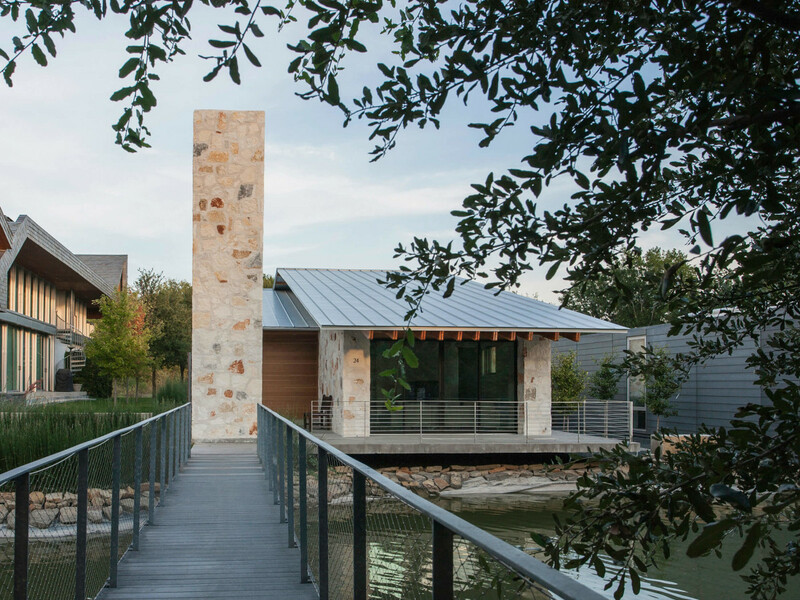 Located directly across from a land and water conservation project funded by the Texas Parks & Wildlife Department and the U.S. Department of Interior, this home was strategically positioned to dramatically reduce its environmental footprint. It also happens to be LEED Platiunum certified. On the interior, each space is meant to feel directly intertwined with nature. So much so that the main living space transforms into an instant indoor/outdoor living area with the touch of a button. This Urban Reserve property has a small bottom-floor footprint, with the bedrooms housed in a floating mass above. 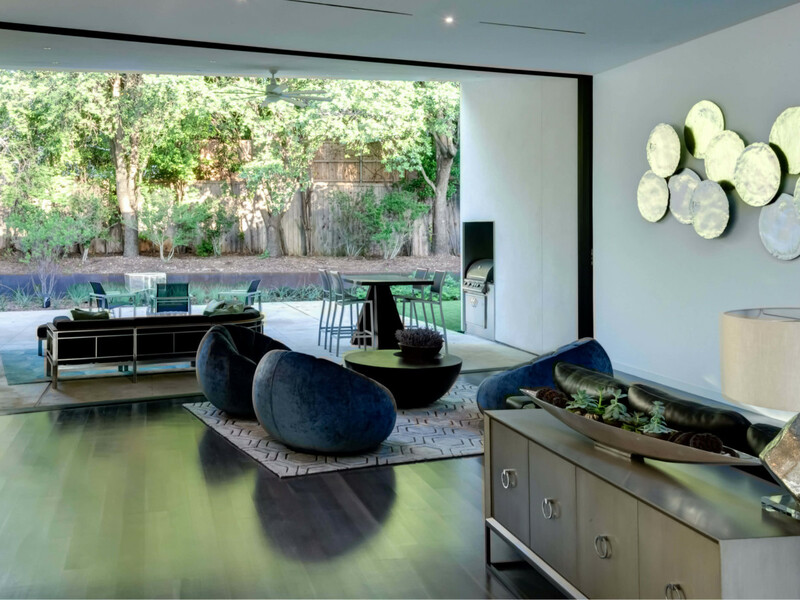 The home also features a pond-front entertaining space, and it has light monitors, visible along Vanguard Way, that bring natural ambient light into main spaces. 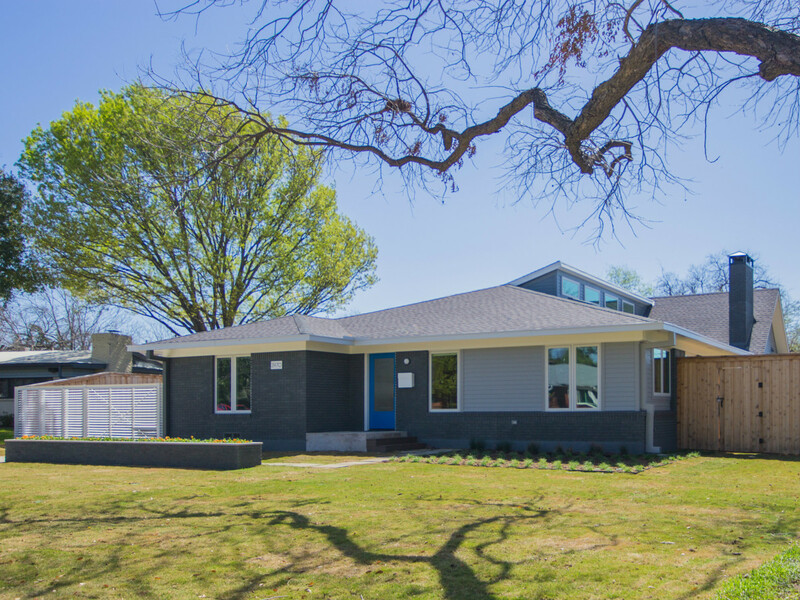 This single-family home features carefully placed windows on the upper level that afford views of the Dallas skyline and beyond. 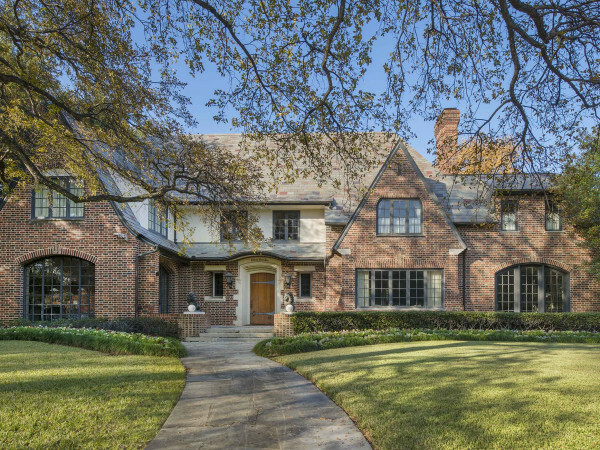 In North Dallas, this creekside home is situated between an original Frank Lloyd Wright home and one designed by a Wright disciple. 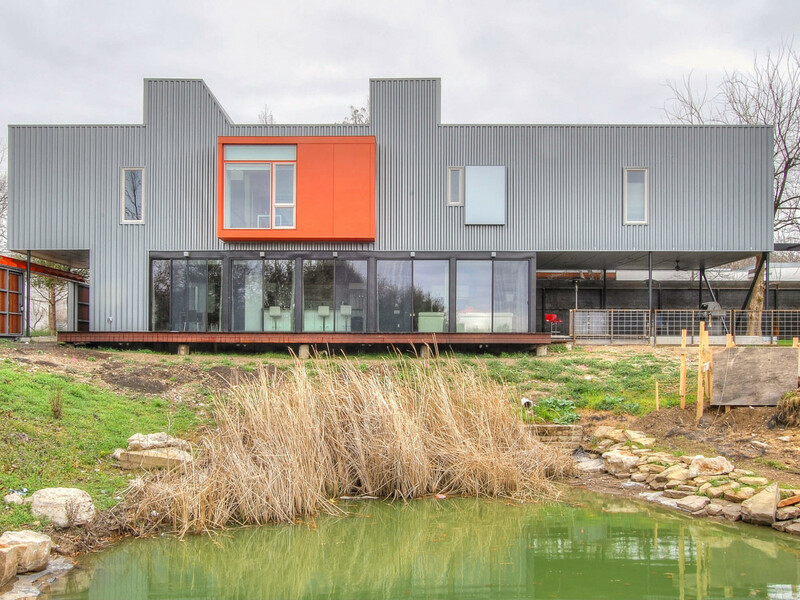 Despite its use of glass and steel, the property is extremely energy efficient, thanks to its geothermal HVAC system and tight building envelope. 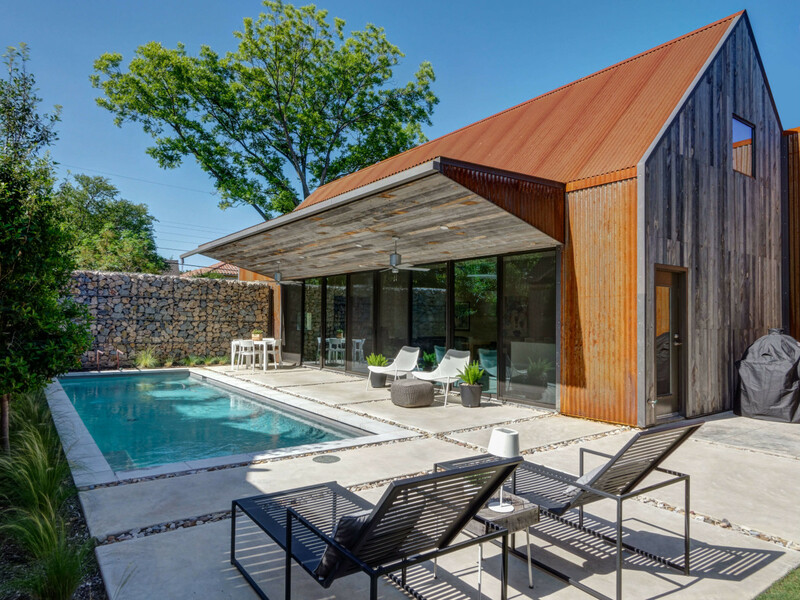 Warm materials like ribbed mahogany and corten steel provide a handsome color palette for the sophisticated modern home. A large masonry fireplace structure anchors the living space, and there's a view of the creek from basically every room. 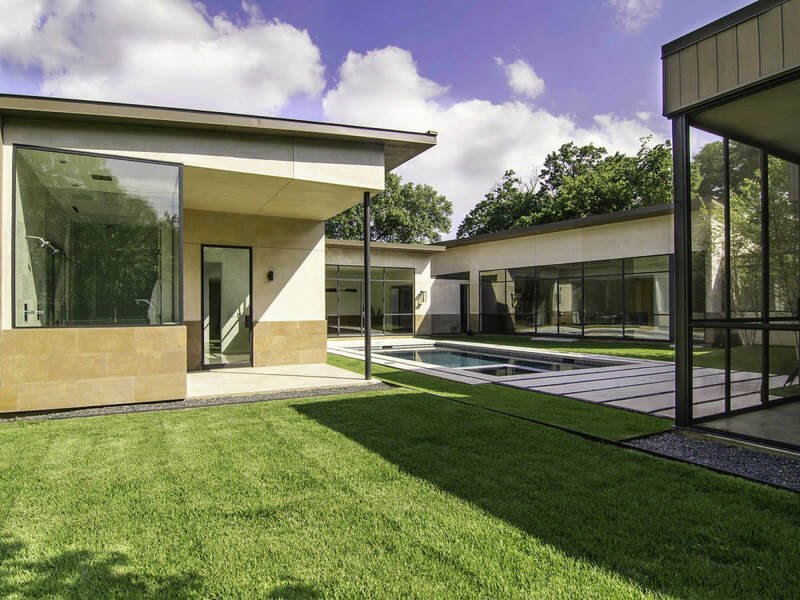 The owners of this Midway Hollow home had serious vision when they bought this property. Upon purchase, the first goal was to brighten the interior and add a garage, pool, and pool house. 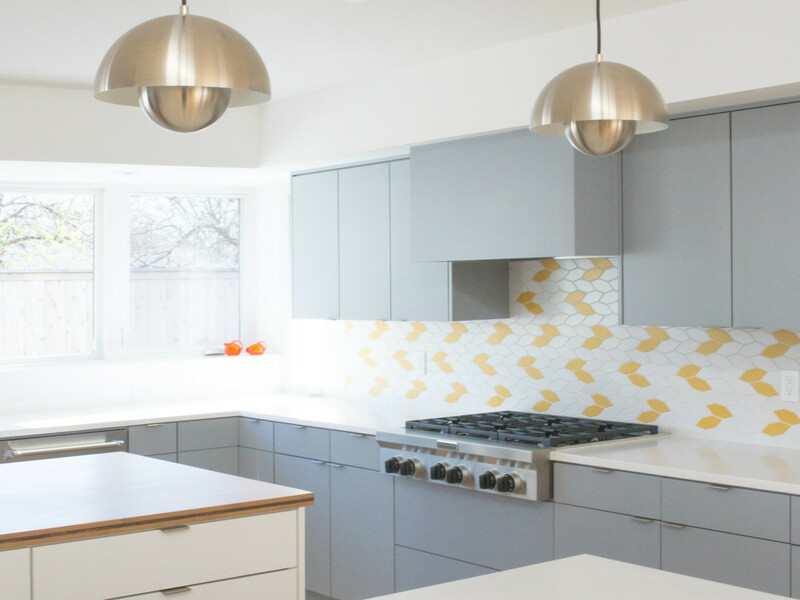 The renovation project allowed the owners to open the kitchen (already a contemporary design) to the back porch and to create a vaulted living space with clerestory windows. 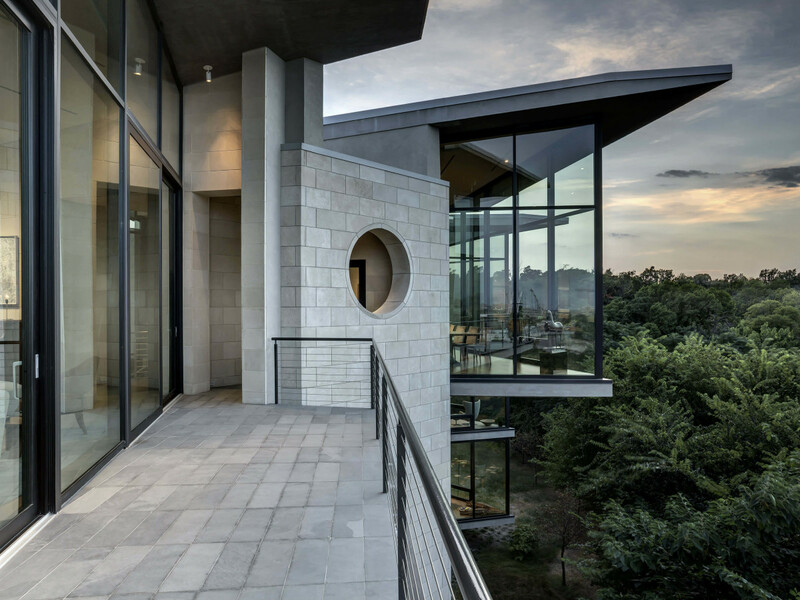 0 Malone Cliff View, aka "Dump Top"
This breathtaking three-story abode in West Dallas, which also serves as a popular place to host Dallas philanthropic events, overlooks both the Trinity River corridor and downtown Dallas. 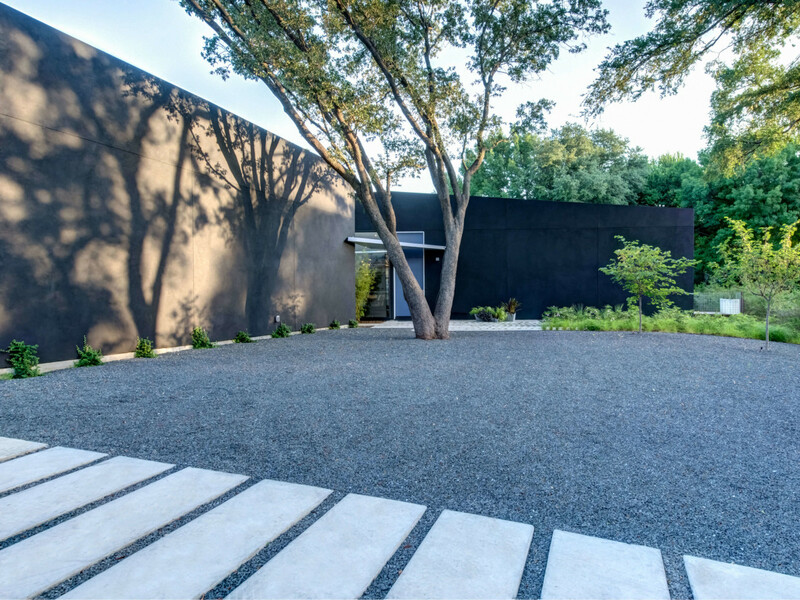 The home also serves as the location for the AIA Tour of Homes Premiere Party, which is the only time it will be on display. Tickets for this party are $100 for the public and $75 for AIA members, and each ticket includes one tour pass.